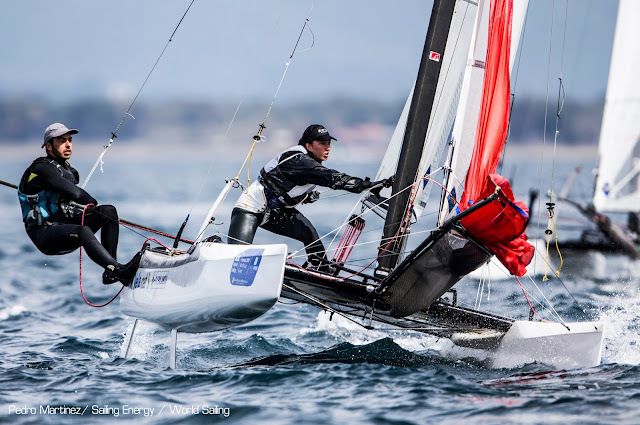 All photos Pedro Martinez / Sailing Energy / World Sailing. Full gallery here. 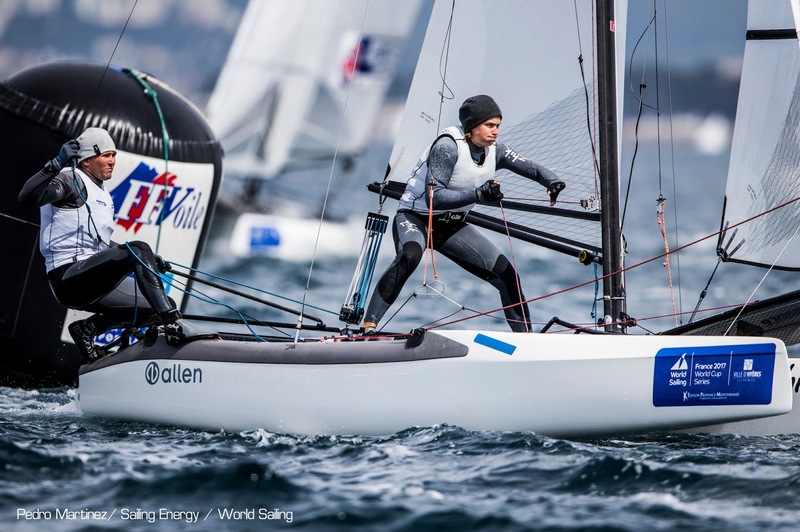 Billy Besson is officially back, now sailing with Amelie Riou. Marie Riou , his former crew , is now preparing for next Volvo with Team DongFeng along Carloijn Brouwer. 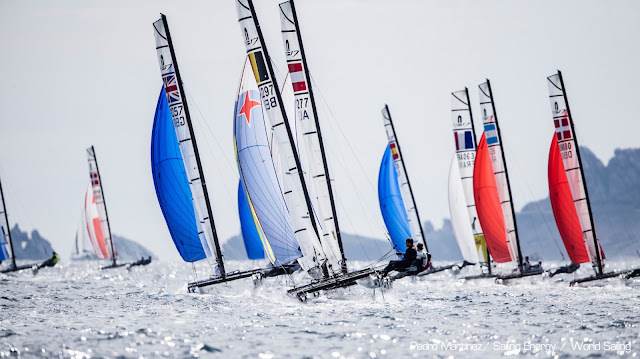 Billy & Amelie stand currently in 11th overall after 6 races. 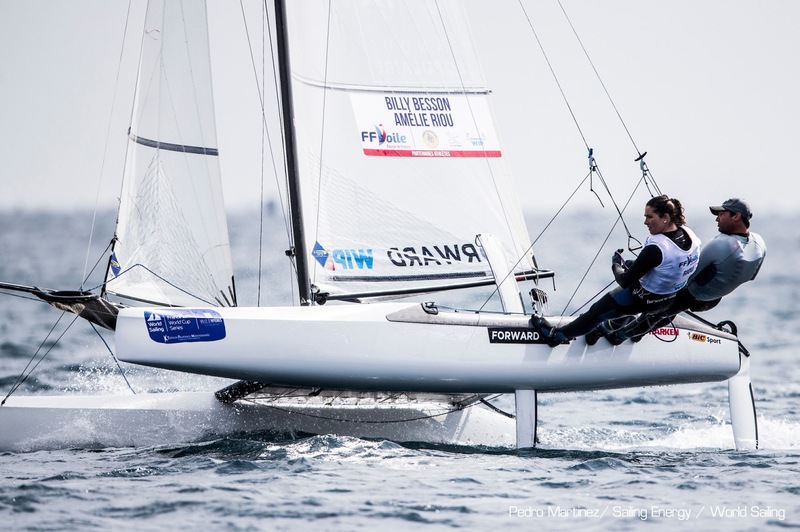 For the MKII foiling stage, Besson has experience foiling As and the Hydros C-Class so expect he will be on top of the new flying game. 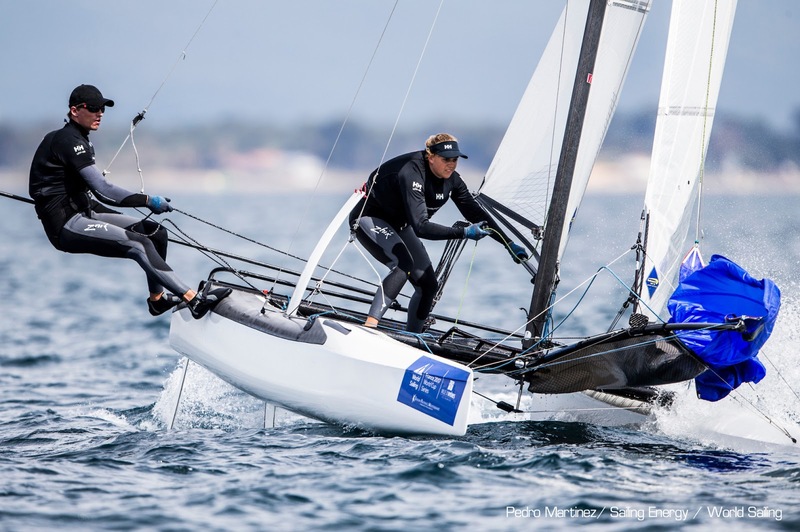 Moana Vaireux & Manon Audinet lead at Hyeres 2017 followed by Echavarri-Pacheco and Cenholt-Lubeck.